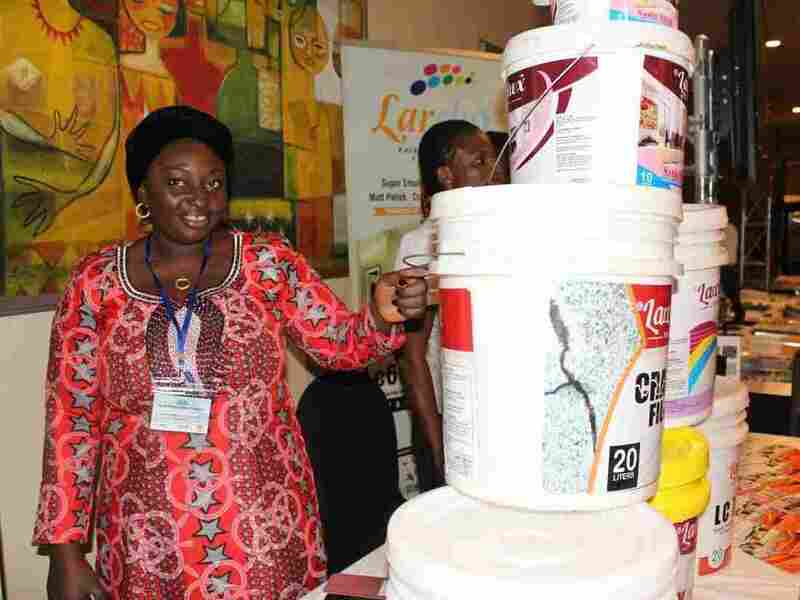 Lariat Alhassan owned a tiny paint business in Abuja, Nigeria. Things weren’t going great. She had no office. She was selling paint out of the trunk of her car. But one night, while Lariat was listening to music in her room, she heard an ad on the radio. At first, she was sure it was a scam. It said that the Nigerian government was offering millions of dollars to businesses. Practically no strings attached. It was no scam. This was an experiment that the Nigerian government was taking on. A contest, meant to help the country’s tiniest businesses get bigger. If it worked, it could help solve Nigeria’s massive youth unemployment problem. And it could also point the way towards solving a big economic puzzle. In the developing world, how do you get a small business to become a medium sized business that can grow to become a big business? Because when that happens, it creates jobs, and wealth, and all kinds of other benefits. There are tons of entrepreneurs who want to grow their businesses. But most of them get stuck at one or two employees. The big thing they need is money—but if you’re a bank looking to make a loan, how do you tell a good two-person paint company, like Lariat’s, from a bad one? How can you predict who will use the money wisely? Those loans end up looking really risky, and so banks often don’t lend at all, or of they do, they charge a ton. Nigeria had a plan. They’d hold a massive nationwide contest. They’d give out piles of cash like nobody else had before. And Lariat was in. Music: “Family Summer Reunion” and “Po’ Boy.” Find us: Twitter/ Facebook. On the small Indian island of Ghoramara, many people have never heard of climate change. It has forced tens of thousands of people to move after their homes were swallowed by rising tides. Oklahoma Gov. Mary Fallin vetoed a controversial abortion bill Friday. The measure would have made it a felony for doctors to perform abortions. Oklahoma Gov. Mary Fallin vetoed a bill on Friday that would have made it a felony for doctors to perform an abortion. The legislation, which was the first of its kind, as NPR’s Jennifer Ludden reported Thursday, would have effectively eliminated abortion in the state. Oklahoma lawmakers passed the bill on Thursday, as the Two-Way reported. “Fallin is the most pro-life governor in the nation. She has signed 18 bills supporting pro-life values and protecting the health and lives of mothers and their unborn children. “Senate Bill 1552 would have made it a felony for physicians to perform abortions. It also contained a provision to revoke their medical licenses unless the abortion was necessary to save the life of the mother. ” ‘The bill is so ambiguous and so vague that doctors cannot be certain what medical circumstances would be considered ‘necessary to preserve the life of the mother,’ Fallin said. As Jennifer reported Thursday, abortion rights groups said the bill “is unconstitutional, a direct violation of Roe v. Wade,” the 1973 Supreme Court decision that legalized abortion nationwide, and predicted it would be struck down by the courts if it were signed into law. Still, Davies (pronounced “Davis”) has plenty of defenders. More than one critic has called him Britain’s greatest living film director, and French filmmaker Jean-Luc Godard — who was famously not a fan of British moviemakers — called Davies’ 1988 full-length feature breakout, Distant Voices, Still Lives, “magnificent”. Davies’ fans praise his use of light and shadow, music and silence; and they celebrate the way he digs into the past (especially his own) to tell emotionally-charged stories of families and women. Yet over the course of his 40-year career, Davies has only released six full-length features and one documentary. His latest film is called Sunset Song. It stars Agyness Deyn as a young Scottish woman who must give up her dream of becoming a teacher to help her brutal father run the family farm in the years before World War I. Deyn is a relative newcomer to acting — you may have seen her in fashion magazines sporting Burberry or Armani — but the former top model impressed Davies from the get-go. Scottish papers have given the actress from Manchester, England, props for her Scottish accent in the film, but there are plenty of shots where she doesn’t speak at all. 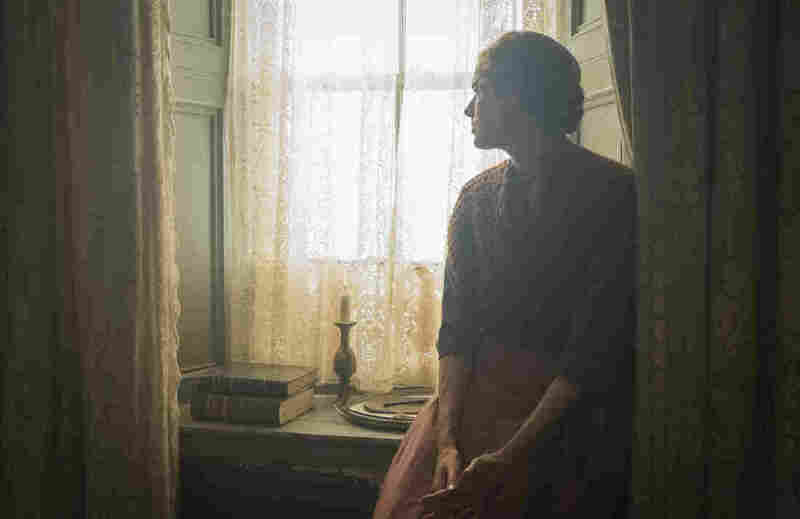 In several scenes, the camera lingers on Deyn’s profile as her character stares out a window at her family’s land. Davies credits Dutch painter Johannes Vermeer with inspiring him. The film’s interiors were shot digitally, but for the landscapes Davies used 65 mm film. Sunset Song is the first of his fiction films to feature broad landscapes, and he jokes it may be the last. “The weather in Scotland can be pretty miserable,” he says, so he shot the film’s summer scenes in New Zealand. Deyn had 18 months to research her role while Davies raised funds, and she was struck by the way two men — Davies and Lewis Grassic Gibbon, the author of the 1932 novel on which Sunset Song is based — were able to capture the story of a young woman struggling to find her place in a world of farming and war. He leaves it up to the audience to kind of dub in what they imagine is going on — to project onto it what it is for you. And then it evokes so much feeling because you’re actually a part of it. That view comes from Davies’ childhood: He grew up in a working-class family of 10 kids in Liverpool. Davies was terrorized by a violent father who died when Davies was 6. The filmmaker says the years that followed were the happiest in his life, in part because of how often his sisters would take him to the movies. He uses that recording in a scene from Sunset Song as farmers and their families cross the hills on their way to church. There, the priest exhorts them to go and fight after Britain declares war on Germany. Davies remembers a lot from his past: hearing a radio adaptation of the novel Sunset Song when he was 17 or 18; hearing a handsome neighbor sing “Ghost Riders in the Sky” at one of his mother’s parties; his father refusing to let his brother in the house after he’d gone AWOL — and his brother forcing his way in to confront their dad. The past is something Davies, 70, has dealt with in all of his films, whether it’s the struggles of others in other times — like the main characters in Sunset Song or his adaptation of Edith Wharton’s The House of Mirth — or his own past and his abusive father. 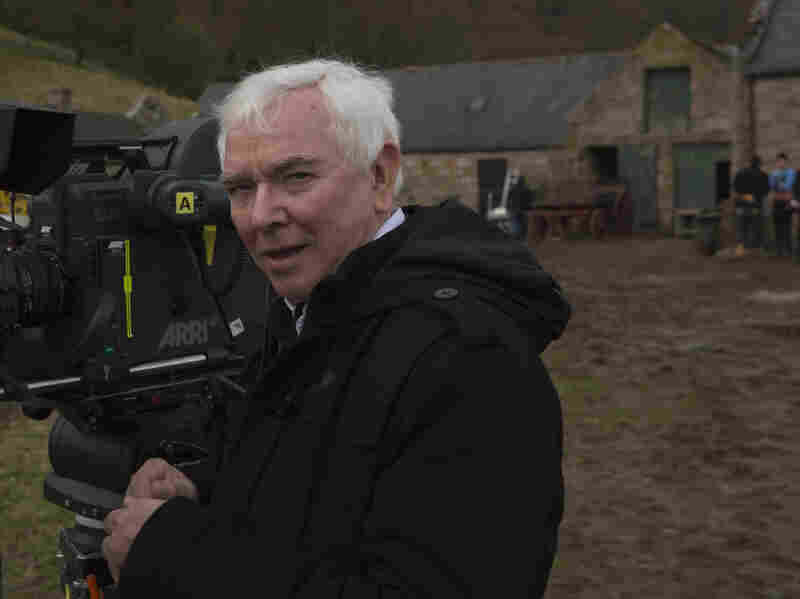 Terence Davies has just finished his next movie and it, too, is set in the past: It’s about 19th-century American poet Emily Dickinson. Snakes and lizards and crocodiles, oh my! All of these creatures, which include Burmese pythons and carnivorous lizards, have turned up in Florida in recent years, sparking concerns about possible damage from invasive species and questions about how the non-native animals came to be in the state. Now scientists have determined that three crocodiles captured near Miami in 2009, 2011 and 2014 are indeed Nile crocodiles, the far more aggressive relative of American crocodiles, which are native to the Everglades. 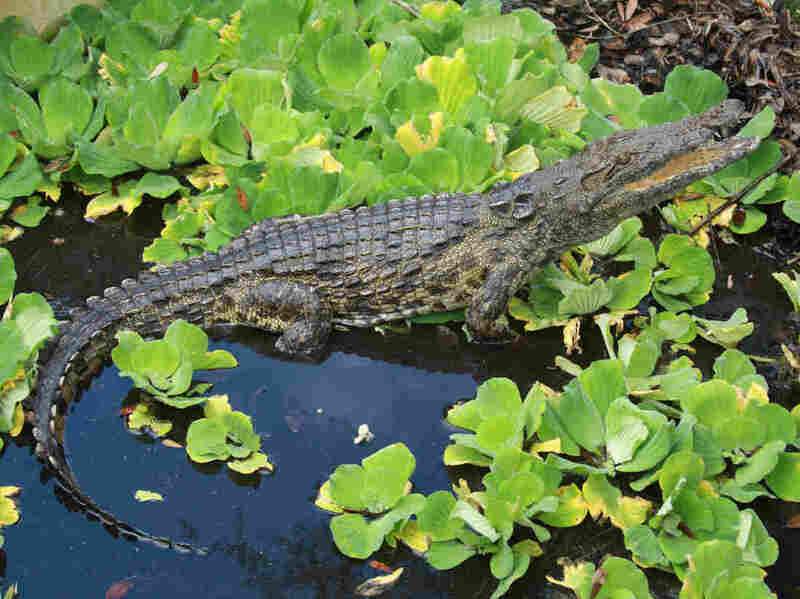 The researchers suspect there are other Nile crocodiles in Florida as well, The Miami Herald reports. Using DNA, Mazzotti and another biologist, Kenneth Krysko, also confirmed the crocodiles didn’t come from any known captive populations. Krysko said “the captured crocodiles matched genetically, meaning they are related to one another, but didn’t match Nile crocs kept at Disney’s Animal Kingdom and other licensed Florida attractions,” The Associated Press reports. So how did the aggressive crocodiles — which, according to the AP, “are believed to be responsible for up to 200 fatalities annually in their native sub-Saharan Africa” — get to South Florida? With any invasive species, there’s a risk of disrupting the ecosystem. As NPR reported earlier this year, in the last two decades, the Burmese pythons, which can grow up to 20 feet, have “taken a big toll on native wildlife,” in the fragile Everglades ecosystem. In fact, their presence has become so problematic, Florida’s Fish and Wildlife Conservation Commission held an “event where it showed prospective hunters how best to corral a 10-foot long snake,” NPR’s Greg Allen wrote. A Texas woman found fame this week after filming a Facebook Live video of herself in an electronic Chewbacca mask that racked up over 50 million views in less than 24 hours. Candace Payne recorded the video in a department store parking lot on Thursday. Chewbacca is a fictional character from the “Star Wars” movie series and adventurer Han Solo’s sidekick. The mask emits a guttural sort of whine, characteristic of Wookiees, that Payne triggered when she opened her mouth. “Chewbacca” began trending on Twitter in the United States on Friday, with users of the social media platform cheering the video. “If you haven’t seen the Chewbacca mask lady video yet, you are missing out on a few minutes of pure joy,” tweeted ¡Gabe! Ortíz ‏(@TUSK81). “Can we all agree that this​​ ​reaction to a ​​Chewbacca mask is everything?” tweeted Kohl’s (@Kohls), where Payne said she bought the mask. “Laugh. It. Up,” tweeted Star Wars’ official Twitter account (@starwars). A Kohl’s spokeswoman said the Chewbacca mask has sold out online. As for Payne, a subsequent Facebook post indicated that she is enjoying the reaction. 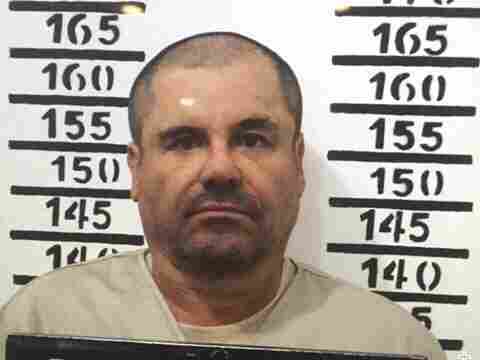 Infamous drug lord Joaquin “El Chapo” Guzmán is one step closer to being extradited to the U.S. after Mexico’s Foreign Relations Department said the process could go ahead. Earlier this month, a Mexican federal judge gave the green light for the kingpin’s extradition, as the Two-Way reported. Guzmán’s lawyers still have appeals they can file, however, and the process could take “weeks or months” to finalize, as The Associated Press reported. And as the Two-Way has reported, the head of Mexico’s extradition office, Miguel Merino, warned in January that Guzmán’s legal team could delay the extradition for four to six years. In total, Guzmán “faces charges from seven U.S. federal prosecutors including in Chicago, New York, Miami and San Diego,” The Associated Press reports. The DOJ says it has agreed not to seek the death penalty, which is consistent with its extradition assurance policies with Mexico. In July 2015, Guzmán escaped from Mexico’s supermax Altiplano prison through a mile-long tunnel. He was recaptured in January, but fears about another possible escape persist, according to former FBI agent Arturo Fontes, who spoke to The Dallas Morning News when Guzmán was transferred to a prison in Juarez earlier this month. The head of the TSA is in Chicago Friday, trying to mend fences with city leaders and angry airline passengers who have been stuck waiting for hours to get through security checkpoints. San Francisco Police Chief Greg Suhr resigned this week shortly after the fatal shooting of an African-American woman in the city.